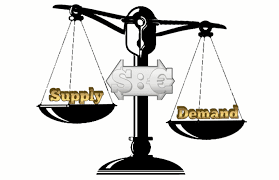 If you don’t know how to trade, you can open an account and simply copy profitable traders on the Forex copy System. Being unparalleled among services rendered by other international brokers, the ForexCopy system has turned InstaForex Company to a market maker in innovations. The ForexCopy system represents a new wave of high-grade financial services. The ForexCopy system is designed to enable copying orders of successful and professional Traders registered in ForexCopy. You can also open an account and offer a forex copy service so that traders can copy your trades automatically and you’ll get automatic commissions from their profits. If you want to copy trades from successful traders, please check their trading results here to make your decision. You can also cancel your connection to a copy trader anytime you want. We offer Neteller funding and withdrawal at parallel market rates for those who open Instaforex.com accounts with us. That means you can fund or withdraw Neteller as often as you wish at parallel market rates, as long as you place at least, one trade per month. Buy at: N380/$. Sell at: 362/$. Several years ago, I had a problem withdrawing Webmoney. After some online searches, I came across one exchanger in Ajah. I went to their office the following day to make some enquiry. I saw the manager when he was entering, and I approached him, only to be waved off. I was referred to one member of junior staff. The junior staff were kind and they attended to me very well. Mangers/directors of popular exchangers are too big to approach? The manager is not around. The manager is not available (when it is a lie). The manager’s phone number is not available. Yet, their exchange business survives on those who cannot reach them or approach them. At last, when I sent Webmoney to the exchanger, I was expected to get paid quickly. But to my dismay, I was told that I would not get any money until the following day. Whenever a customer wants to buy an e-currency, she/he pays instantly, doing instant cash deposit or paying by instant cash transfer online. But when an exchanger wants to pay a customer, they would usually be delayed till the following day (or delayed for a few days). Why can’t exchangers pay customers instantly when they themselves get instant payments from purchasers of e-currencies? They may claim they have thousands of customers. However, if there are thousands of customers, then, payouts should be automated. A good business should not reduce quality of their service because of a growing number of customers. Rather, they should be able to look for ways to cope with them, just as successful big business have done. Forget about an award-winning website design. Forget about a big name. Forget about great English vocabulary. Forget about adverts campaigns. In the end, what matters most is that customers get paid instantly. No-one will ever be disappointed by getting his money quickly. Whether a customer needs his money urgently or not. Let them get their money instantly. That is the most important thing. When an instant cash transfer fails, causing delays or there is a serious network problem, that is another issue. If we cannot pay you instantly, we would not buy e-currency from you. If we do not have e-currency to sell, we would tell you. It is unethical to collect your money, and then delay you for days to pay you. It is unethical to obtain your e-currency and then begin to look for money to pay you. Certain customers take our Instant Transfer policy for granted. When they place orders with us, they continue to press for instant processing, which we do. But when they go to another exchangers, they are forced to be delayed against their will. You may not appreciate the good deeds of your spouse (focusing on their weakness), until you try another partner who is much worse than your previous spouse. When I did not appreciate an exchanger who paid me faster, and I had to go somewhere else because of a higher price from selling, I learned a bitter lesson because I was delayed for 4 days before I got my money. You want to enjoy the thrill of instant cash transfers? Try us today. What e-currencies can you convert to Epay? Epay.com may soon be one of the most popular e-currencies platform in the future. It's easy to use and they’re here to ensure your funds security. Make payments to anyone at anytime and anywhere. 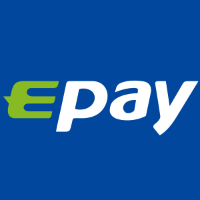 Epay is a legal online payment system with PCI&DSS certificate. Reliable services help your money arrive safely. It's free to pay and get paid. Their low fees are tough to beat. Compare them with the competition, you save more. This is a world of unlimited opportunities. Victoria Oil and Gas stock (LSE:VOG) is supposed to go further southwards, following the shallow rally that has been seen in the market. The bias on the market is bearish. The market was flat in January 2017, and then it experienced a smooth bullish run in February. Between March and April, price entered a consolidation phase. As from May, price has been going downwards gradually, being able to go below the lower Trendline. After this, the RSI period 14 has also gone below the level 50. The present shallow rally is simply a good opportunity to sell short at a better price. Immediate targets are located at the support levels at 40.0, 35.0 and 30.0. UK Oil and Gas shares (LSE:UKOG) have gone northwards seriously (just as some currency pairs like EURUSD, EURJPY, GBPUSD, and GBPJPY, etc. have done). This has created a bullish outlook on the market and that is something which is expected to continue. 4 EMAs are used for this analysis and they are EMAs 10, 20, 50, and 200. The color that stands for each EMA is shown at the top left part of the chart. Price has already gone above the EMAs, especially the EMA 200, signaling a Golden Cross. The EMAs 10, 20 and 50 have been sloping upwards. Right now, UK Oil and Gas is riding the current significant bullish momentum and price could reach the supply levels at 3.00, 4.00 and 5.00 within the next several months. We’re happy to inform you that www.ituglobalfx.com.ng has become a certified partner of www.perfectmoney.is. For most people, PerfectMoney.is needs to introduction. In order to celebrate this with our customers, we’re giving a free N1000 recharge card to every customer who sells a minimum of 1000 USD worth of Perfect Money to us, between June 27, and July 3, 2017. When you sell PM to us, you would get funded as quickly as you can imagine and you would also get a free recharge card, provided you sell a minimum of 1000 USD to us. Qualification is automatic. You are free to choose a network of your choice and then get the free recharge card, in addition to your full cash payment. NB: This offer expires on July 3, 2017. The EUR/JPY cross has been able to maintain the bullish bias it started on June 15. Price tested the demand zone at 123.50, and then was able to go above the demand zone at 124.50. This has revealed a bullish intent, and price could go further upwards. However, the upwards movement may not be so serious because of a possibility of a smooth bearish run before the end of the week. EUR/USD: The bias on the EUR/USD has become neutral because price did not do anything significant last week. There was generally a movement between the support line at 1.1100 and the resistance line at 1.1250. There must be a movement above the aforementioned resistance line or below the support line. A movement above the resistance line is the most likely for this week. USD/CHF: This pair remains essentially a bear market. The bearish signal that started in May 2017 is still in place, and further bearish movement is anticipated, especially when the EUR/USD goes upwards. The targets for this week are located at the support levels at 0.9650 and 0.9600. 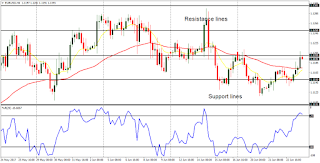 GBP/USD: This weak currency trading instrument went downwards in the first few trading days of last week, to test the accumulation territory at 1.2600, before bouncing upwards to close above the accumulation territory at 1.2700 on Friday. That upwards bounce could end up becoming a good opportunity to go short, because the market could turn downwards to test the accumulation territories at 1.2700, 1.2650 and 1.2600 this week (these are the targets, since those accumulation territories were also previously tested last week). The outlook on GBP pairs remains bearish for the week. 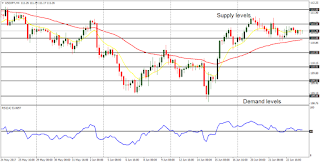 USD/JPY: This pair has become neutral, because price could not continue going upwards to sustain the generation of the bullish signal, which took place on June 15. In fact, price simply went sideways last week, preparing to break out upwards or downwards (downwards is more probable, because the outlook on JPY pair remains bearish for this week). EUR/JPY: The EUR/JPY cross has been able to maintain the bullish bias it started on June 15. Price tested the demand zone at 123.50, and then was able to go above the demand zone at 124.50. This has revealed a bullish intent, and price could go further upwards. However, the upwards movement may not be so serious because of a possibility of a smooth bearish run before the end of the week. Your entire life could be online and it might be used against you. Criminals could try to harm you with the personal information you share online or on your social media handles. Don’t post sensitive personal information online. To those who waste their time, revealing their privacy unnecessarily to boost their ego, while they gain nothing and are paid nothing for it. Do you think those who comment on your posts really care about you or your family? NEVER! Those comments are bogus love that quickly fail when put to tests. I prefer to keep my mouth shut online, and demonstrate real, tangible commitment to the persons I love in reality. Some are actually stalking you, monitoring your activities, to use against you. Why do you reveal details of your innocent kids to those you can never welcome into your house? You might as well post their pics in physical public places. Exhibiting fake life online only reveals your vulnerability, rather than your strength. Vainglory brings more harm than good. Don’t put yourself in unnecessary danger. Whether you’re really what claim or you’re pretending to be what you’re not; very few people really care. Really successful people jealously and desperately protect their privacy. If you’re really an achiever, you don’t need to blow any trumpet for yourself. Let others do that. This market did nothing significant last week, save the movement between the resistance line at 1.1250 and the support line at 1.1100. The market has essentially become neutral, and that bias would hold out until the aforementioned resistance line is breached to the upside or the support line is breached to the downside. This is what is expected this week, for activity in the market would be greater than what was seen last week. Movement to the upside is more probable. USD/CHF also did not do anything significant last week, tough the bearish bias still exists, most importantly in the long-term. 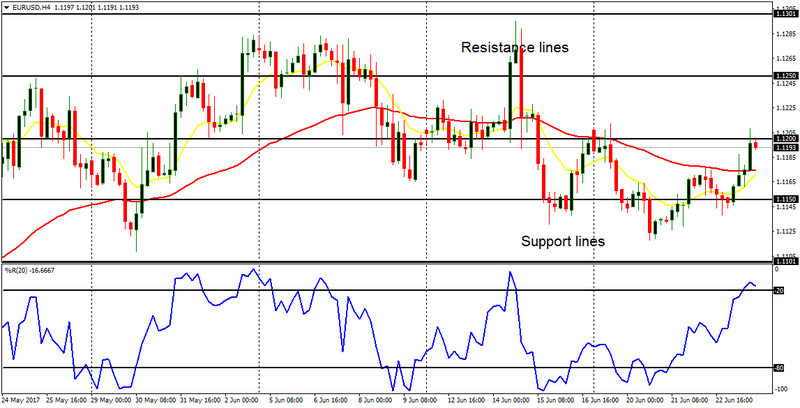 Price tested the resistance level at 0.9750 and later closed below the resistance level at 0.9700 on Friday. Further bearish movement is anticipated this week, especially when EURUSD goes northward (which is a possibility). 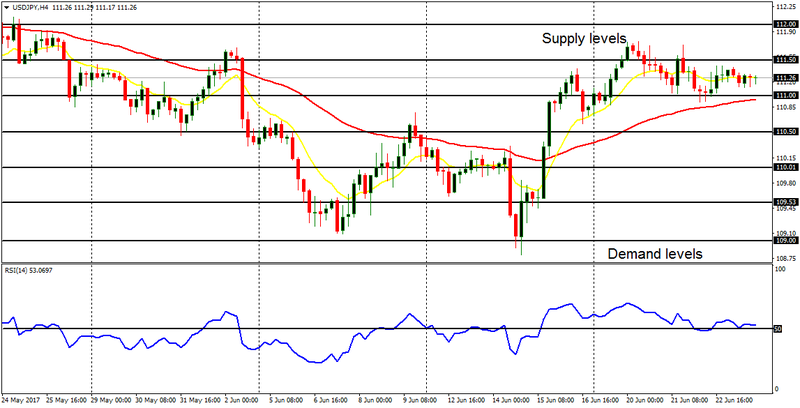 There are possible targets at the support lines of 0.9650, 0.9600 and 09550. The bearish signal that started on June 9 has lasted till now. Last week, price went downwards to test the accumulation territory at 1.2600, and later bounced upwards, to close above the accumulation territory at 1.2700. In spite of the upwards bounce, the outlook on GBPUSD remains bearish for this week (plus on certain other GBP pairs). Price could reach the accumulation territories of 1.2700, 1.2650 and 1.2600 - all of which were tested last week. This currency trading instrument is currently in a neutral mode, owing to the tight consolidation that took place on it last week. A bullish signal was generated on June 15, but that was rendered ineffectual owing to the bull’s inability to push price protractedly northwards. In fact, the inability of the trading instrument to go more upwards may eventually result in a smooth bearish run before the end of this week, since the outlook on JPY pairs is bearish for the week. This cross has been able to retain its bullishness so far, despite many odds against it. In most part of last week, price oscillated between the demand zone at 123.50 and the demand zone at 124.50 (formerly a supply zone). Since price was able to close above the demand zone at 124.50, an imminent bullish intent has been revealed. However, price may not move seriously upwards, because of the possibility of bearish movements, which can happen on JPY pairs. They offer a 100% bonus, added to every account, and which can be withdrawn immediately without any restrictions. However, the bonus scheme comes in a completely different and unique way. Why not add bonus amounts to the account balance? Because adding bonus amounts to the balance of a trading account is a bad idea! When bonus amounts are added to the account balance, the effect is to "fake" higher leverage, but since Tallinex offers leverage up to 1:1000, there is no need to do this. In addition, account equity becomes "distorted" because bonus funds are not available to offset floating losses until those bonus funds have actually been earned. This means that Expert Advisors can open inappropriately-sized trades because the true equity of the account is unclear. Finally, if bonus funds are added to the account balance, a withdrawal of capital unbalances the Deposit : Bonus ratio. This means that the bonus amount must either be revoked or, at best, reduced. So, to avoid all of the above issues, Tallinex simply records each bonus amount separately - on the Bonuses page of the back-office. This elegant solution (unique to Tallinex) ensures that trading is unaffected by the bonus scheme, and makes qualification for every bonus amount inevitable. Even if you need to withdraw every cent from your trading account, your bonus qualification progress will be retained... and when you are ready to resume trading, just make a new deposit (which will also qualify for a bonus) and continue earning your bonuses from where you left off. Log in to your back-office and boost your bonus today! We offer Neteller at parallel market rates for those who open Tallinex.com accounts with us. That means you can fund or withdraw Neteller as often as you wish at parallel market rates, as long as you place at least, one trade per month. Buy at: N380/$. Sell at: 360/$. Nanoco: is this a time to buy long? Can everybody become a genius?